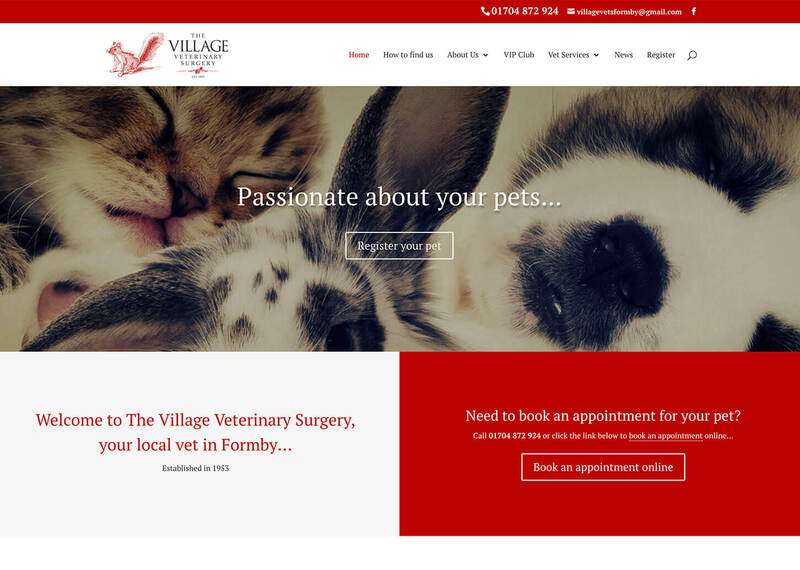 Having completed a full ground-up re-branding project for this veterinary practice, we were asked to provide a new vet website design to replace their out-dated website. 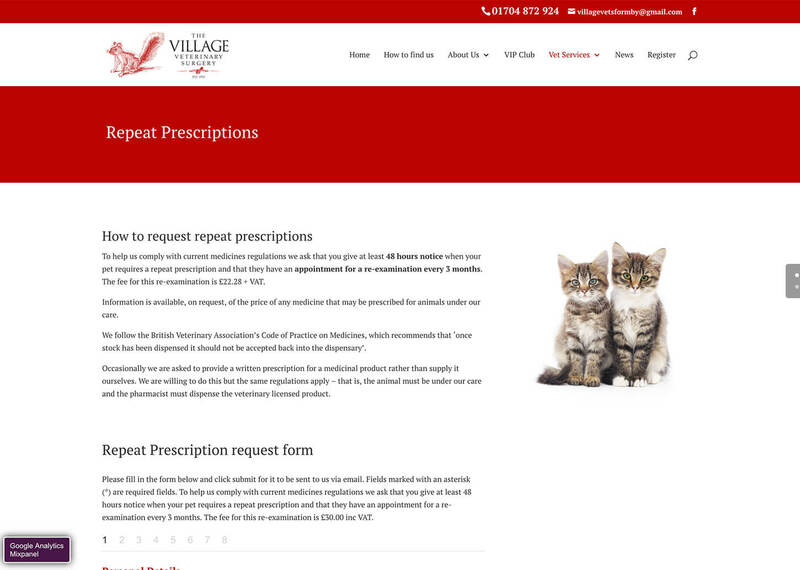 We had already sourced some fantastic sepia toned stock images for the practices marketing material, and these cute, close-up portraits were deemed ideal for the website too. 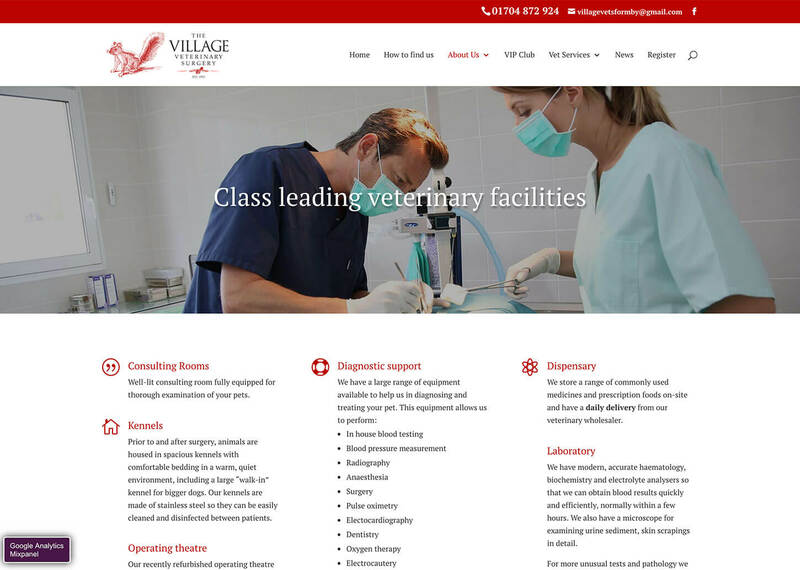 We built a user friendly website that was not only simple to navigate but also had enough detailed content to keep users interested. 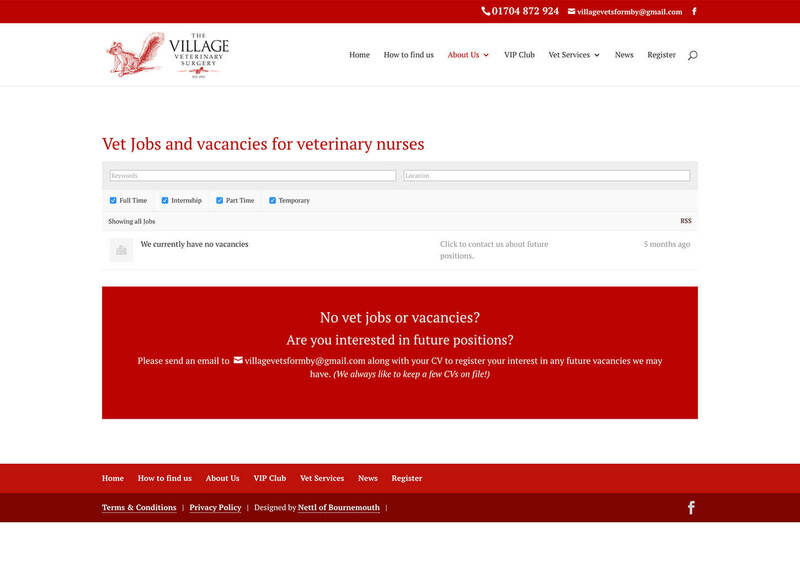 A booking module from Robovet was incorporated to give extra functionality and separate pages were added to cater for the different services the practice offers. 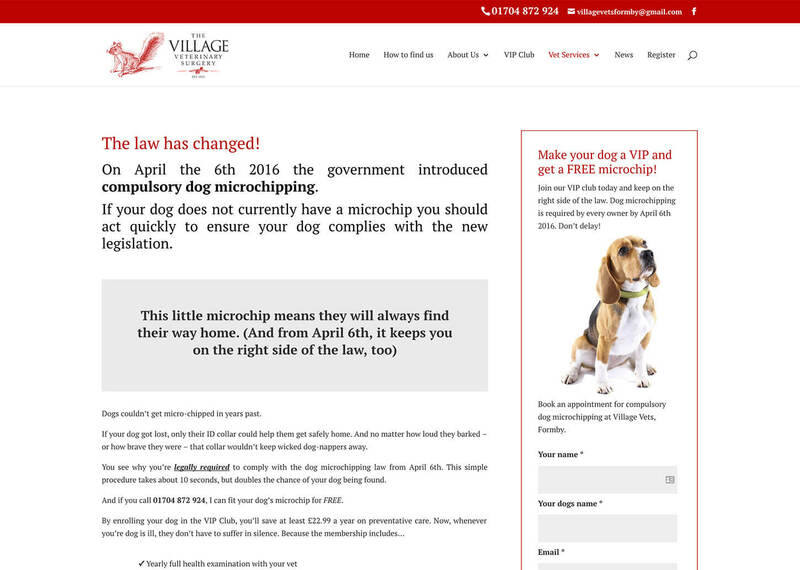 To coincide with the Government Dog Microchipping Campaign of 2016, we built a bespoke dog microchipping landing page with a countdown timer and call to action to help drive customers to book an appointment for their dogs, so the staff could fit microchips but also have the opportunity to promote The Village Vets V.I.P. Club. 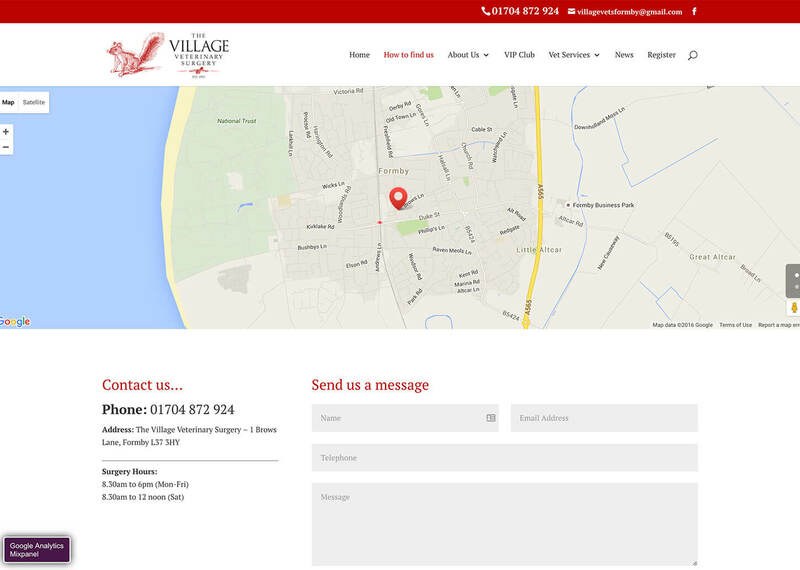 This website is now monitored, maintained and managed by us on a monthly basis through our website concierge package.